For U.S. consumers, the Chevrolet Captiva likely conjures flashbacks of rental car parking lots, sparse interiors, and hard plastics. General Motors phased out the nameplate last year only to announce its return two months later. Except the new Chevrolet Captiva isn’s a GM vehicle—it’s a rebadged Chinese Baojun 530. Chevrolet officially unveiled the new crossover during Bangkok International Motor Show, announcing it’d go on sale in Thailand in the second half of this year. The crossover, which will cost less than 1 million baht ($31,586 at current exchange rates), will have seating for five or seven passengers, a panoramic sunroof, and integrated LED headlights. The Chevrolet Captiva is a Chevrolet Captiva in name only. Under the hood is the Baojun 530’s turbocharged 1.5-liter four-cylinder engine making 147 horsepower and 169 pound-feet of torque. Either a six-speed manual gearbox or CVT pairs with the engine. Interior design is modern with a large infotainment display atop the dashboard. While the interior doesn’t look extravagant, it does appear to be much better than the interior in the outgoing Captiva GM phased out of production. The exterior design is sharp, with crisp design lines, an aggressive front end with a tall grille, and sculpted rear end look. The Captiva will join the Chevrolet Trailblazer and Chevrolet Colorado in production in the country. The Captive is the second rebadged Baojun, too. The first was the Baojun 630 sedan which, in some specific markets such as Egypt, is offered as the Chevrolet Optra. Stay tuned to GM Authority for the latest Chevrolet news and Baojun news. What a horrendous thing! It makes the Aztek look less ugly. I think the taillights look better than the ones on the Blazer. 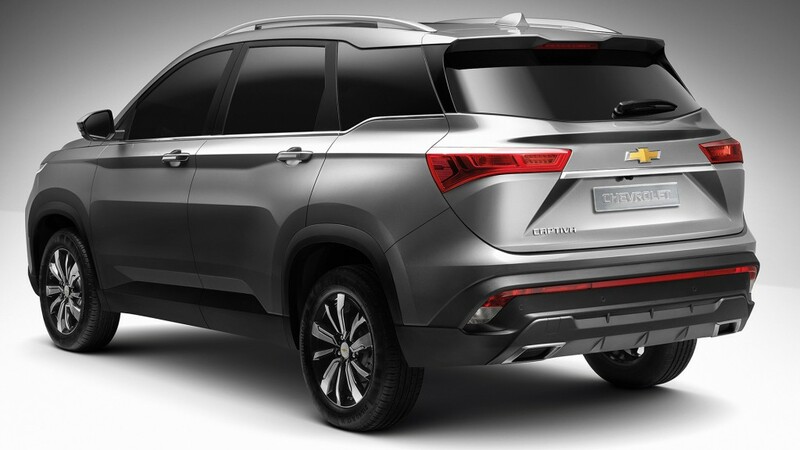 It is a downright shame GM has stooped to this level – rebranding a Chinese vehicle. I wonder if it indicates that GM is about to flog off GM Thailand to SAIC. There is still no news on the two foreign plants that GM announced the closure of last year. Opel is gone, so now Chinese cheap brand must do this dirty job. Captiva was a Daewoo Winstorm.